While The Universe Smiles Upon You often slides by, frictionless, on grooves and guitars that sound like they’ve been doused in Vaseline, don’t be tricked for a moment into thinking that it qualifies as easy listening. The Texas and London-based trio’s debut album is a subtle dance, a constellation of small movements and highly nuanced arrangements that unfolds seamlessly, like ripples on the water. Even as it hypnotizes us, slinking forward on the weightlessness of crisp drums and rolling bass figures, Universe reveals tiny thorns and eddies of tension beneath its soothing surface. Khruangbin have continually pointed towards the explosion of funk music that came out of Thailand in the ‘60s and ‘70s as a major source of inspiration; their most recent EP, History of Flight, was a collection of covers featuring some of their favorite Thai musicians. Yet while Mark Speer’s mercurial guitar tones bear a strong resemblance to albums by Thai forbearers like Dao Bandon and The Impossible, particularly on album opener “Mr. White” and the minor-key lurch of “Balls and Pins,” Khruangbin are interested in much more than simply paying homage. Instead, they seem intent on channeling those artists’ uninhibited exuberance more than any particular instrumentation. On “People Everywhere (Still Alive),” the trio accelerates with giddy energy, streamlining their syncopated parts into a flying machine, given an extra boost by bassist Laura Lee’s sweet vocals. Speer wrangles every last bit of soul out of his six-string throughout Universe; on album standout “Two Fish and an Elephant,” he snakes, arcs, squiggles and winds his way around his band mates with precision and fire. Solidifying the band’s strength is Donald “DJ” Johnson, whose understated (and perfectly mixed) drumming provides the anchor that enables his bandmates to soar. Even though Universe is Khruangbin’s first release to feature any vocals, only lead single “White Gloves,” sung by Lee, approaches what might be called a pop tune. Yet even when she takes center stage, her magnetic, stately voice still manages to skirt the spotlight. 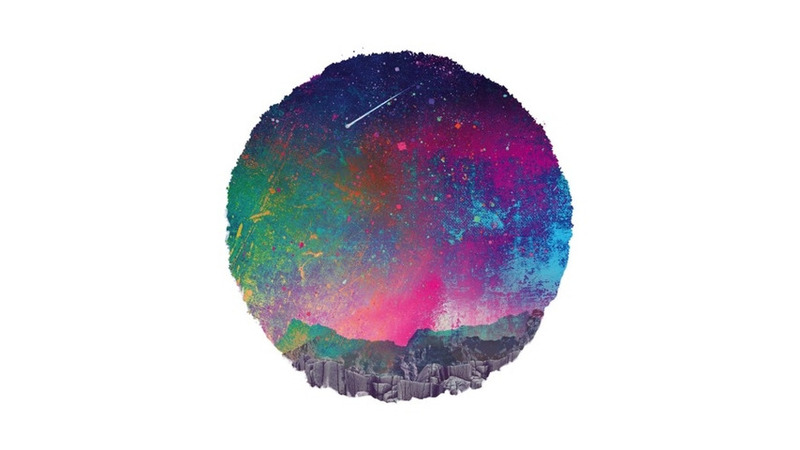 Universe is ultimately an instrumental album, built on Speer’s lyrical guitar figures and Lee’s soft-focus bass lines; while that means you might find yourself getting a little antsy by the middle of Side B, Khruangbin’s commitment to distancing themselves from conventional verse-chorus-verse structures allows their stream of musical ideas and motifs to blur together into a singular whole. Embracing the grand open skies of rural Texas and the lurid neon of Bangkok in one fell swoop, The Universe Smiles Upon You succeeds not because of the exotic nature of its influences, but the tact with which it incorporates them into its own mesmerizing universe.